Brace yourself Game of Thrones fans, because it’s time to pray to the old gods and new. Recently Jason Mamoa was spotted hanging out with David Benioff and D.B.Weiss in Belfast. Again. The actor, whose character Khal Drogo was actually spotted hanging out with a cast of the previous season. At the time, it turned out that he was simply visiting his old friends at that time. But, what if it’s not? 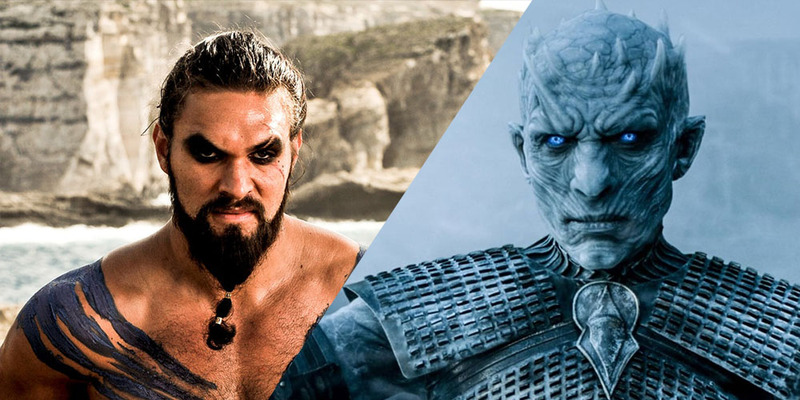 what if Khal Drogo is in Game of Thrones season 8? If this one is true it will a brief appearance by Dothraki warrior. And it could bring out Daenerys’ story full circle- and it could rewarding and maybe heartbreaking also. Still, it is not officially confirmed about the return. To be honest, at this point, it feels as if every actor who has ever appeared on series has visited Season 8 set. From Faye Marsay ( who played Waif) to Tom Wlaschiha( who played Jaqen H’ghar), seems to be reports of visits from familiar faces have run rampant. There’s an excellent chance that some of these set visits have been done to intentionally to throw fans eager for spoiler off the scent. But the main point is once Benioff and Weiss had visited Sibel Kekilli(Shae) dress up in custom just to confuse fans during filming of Season 6. And also when an actor who played a now dead character show up on show’s set, it rarely ever means that they’re actually back for filming. Despite evidence suggesting that Momoa is just hanging out with old friends, the idea of Khal Drogo returning is tantalizing. it f**ked me up. Knowing that is going to be a lasting flavour in someone’s mouth of what Daenerys is…. That sounds ominous to say at least. Her word suggests that the Mother of dragons may go, full Mad Queen, her father, or, as digital spy Sam Ashurst speculates. Either way, the Iron Throne may be out of reach, and maybe after watching Daenerys transform from a frightened woman into warrior queen. If Daenerys’ days are limited, one way to give the character a bittersweet farewell would be to reunite her with Khal Drogo. The Night Lands represent the afterlife for the Dothraki, and during her quest through the House of the Undying. The Dragon Queen memorably asked her husband if she had joined him there. When the sun rises in the west and sets in the east. It will be when the seas go dry and mountains blow in the wind like leaves. When your womb quickens again, and you bear a living child. Then he will return, and not before. Well, that seems just pretty, but cruel as well. In fact, the Mother of Dragons took the words to mean she’s barren. But it could also that she’ll die after giving birth to Jon Snows’s child. Just to leave her to reunite with Khal Drogo and the child she lost. Well, that’s not a particularly satisfying ending for such an epic character, for this is GOT season 8. And like all, we know show loves nothing more than subverting expectations. Ultimately, fans will have to wait until the final season arrives. But for now, it’s interesting to speculate that Momoa might have been in town just to share a drink with his pals. His character may be dead, but the role he played in Daenerys’ journey has ensured that he remains a pivotal one. Maybe he’ll see the moon of his life one last time. Or maybe Momoa just loves to tease Game of Thrones devotees. Either way, there’s no doubt that the possibility of Khal Drogo returning could be the game changer for Daenerys and of course for the fan. 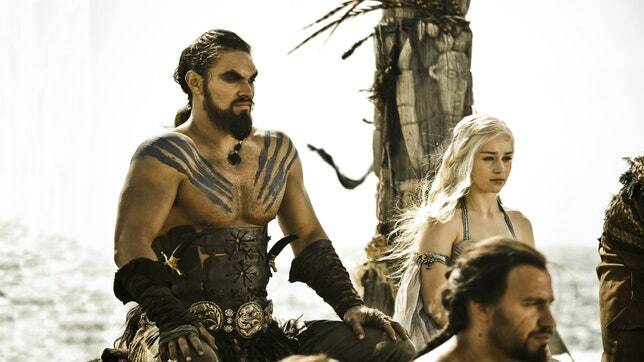 I am a huge fan of this show and with my opinion – khal drogo will not return but i wish he could!